Seattle (WA) May 17, 2005 – R. K. Getty Corp., the owners of the 201,815 s.f. Centralia Factory Outlets in Centralia, Washington, have announced plans for a major renovation and expansion designed to encourage travelers on Interstate 5 to spend more time at the center. “By incorporating some of the latest lifestyle-trends in retail development, as well as adding restaurants and services for travelers, we will extend the time they spend shopping during their trip,” stated Sandra Smith, Director of Real Estate, for R.K. Getty Corp. Planned upgrades include a new courtyard with seating, a fountain, and an Internet Cafe and Lounge for visitors. Major architectural renovations will include converting an existing building which has been enclosed, into 25,000 s.f. of new retail suites with exterior storefronts, sidewalk-scapes and front-door parking. Upgraded rest room facilities, and lighting and signage improvements are also planned for the center. An aggressive multi-tiered marketing and leasing plan focuses on attracting women shoppers from the local market and improving the tenant mix to appeal to the international tourist market. The center is located on Interstate 5 at Exit 82, which has long been recognized by travelers as the preferred stopping point on the trip between Seattle and Portland. The average daily traffic count at Exit 82 is 64,000 cars. Renate Johnson, Marketing and Property Manager, recently completed a year-long campaign targeting local and state officials which led to the renaming and signing of Exit 82 as Factory Outlet Way. “This added exposure and directional advertising on the Intersate. It has been very valuable to the center in increased traffic and sales,” stated Johnson. 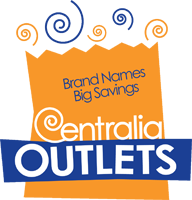 Centralia Factory Outlets features over 30 brand name outlet stores including Levi’s Outlet, Quiksilver, Pfaltzgraff Outlet, Kitchen Collection, Farberware, Casual Corner Outlet, Easy Spirit, Dress Barn/Dress Barn Woman Outlet, L’eggs Hanes Bali Playtex, Van Heusen and G. H. Bass Outlet. The outlet center is located on Interstate 5 at Exit 82, Factory Outlet Way. The hours of operation are 9 – 8 p.m. Monday – Saturday, 10 – 6 Sunday. For more information call (360) 736-3327 or visit www.centraliafactoryoutlet.com.